We got stickers thanks to StickerApp! Lots of stickers! 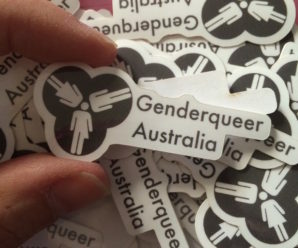 GQA logo stickers. We are selling them for 50c each or two for a dollar! It’s a real bargain for our first go at stickers, which are fast selling out with only a limited supply in our first batch. Pick them up from GQA coffee catch-ups, or if you really want one, we can send a couple to you for $1 postage (Australia only). Price: $1.50 each | Available from GQA catch-ups So like the man says, where’s your badges? 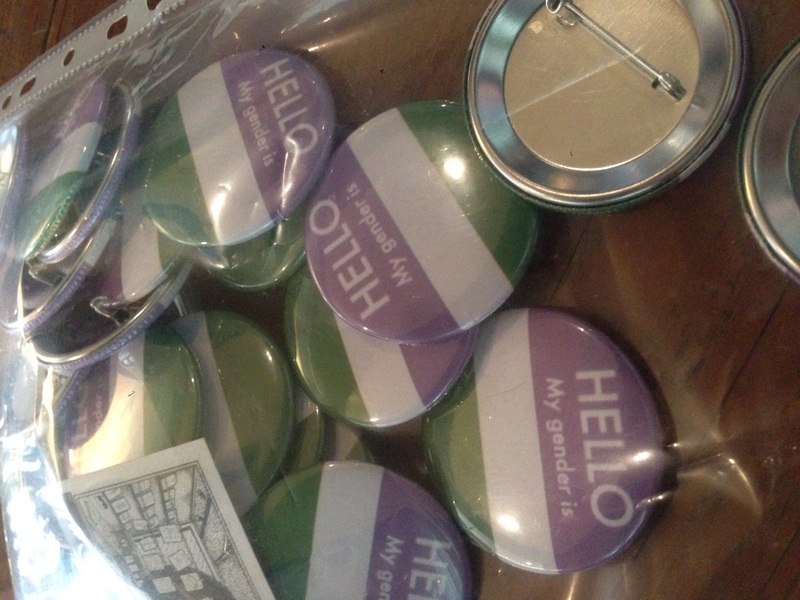 GQA has a new batch of our “my gender is” badges, available from monthly meetings for the low price of $1.50!